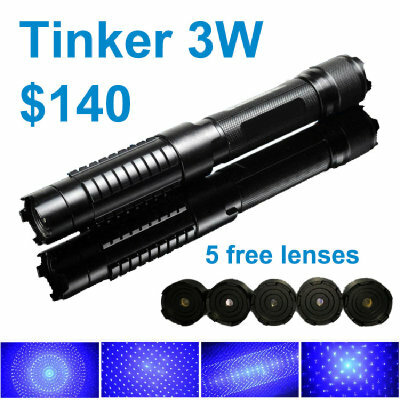 50mW 532nm Green Laser Pointer. Compact aluminum body with big head. Fixed Lens, laser beam diameter is smaller than 3mm and laser_beam_divergence is about 0.5mRad, so the linear beam is ideal for star pointing. This laser is powered by one 16340 battery.